Graves Motorsports Yamaha R6 (2017-2019) Fender Eliminator Kit with ultra bright LED tag light included. 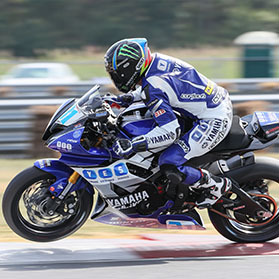 Graves Motorsports Fender Eliminators for the all new R6 are designed to eliminate the stock rear fender to give the bike a more race inspired and streamlined look. The Graves tag kits are designed to have multiple options. Use with stock Yamaha rear turn signals, with Graves aftermarket signals (by moving the mounting position of the signal holders), or without signals at all by removing the turn signal mounts completely. All Graves Motorsports Yamaha fender eliminator kits are fabricated from black power-coated aluminum for long term reliability and great looks. There is no cutting required to your stock fender and all hardware is included for easy installation. Just what your Yamaha R6 needs to clean up the tail section from Gravesport.com!